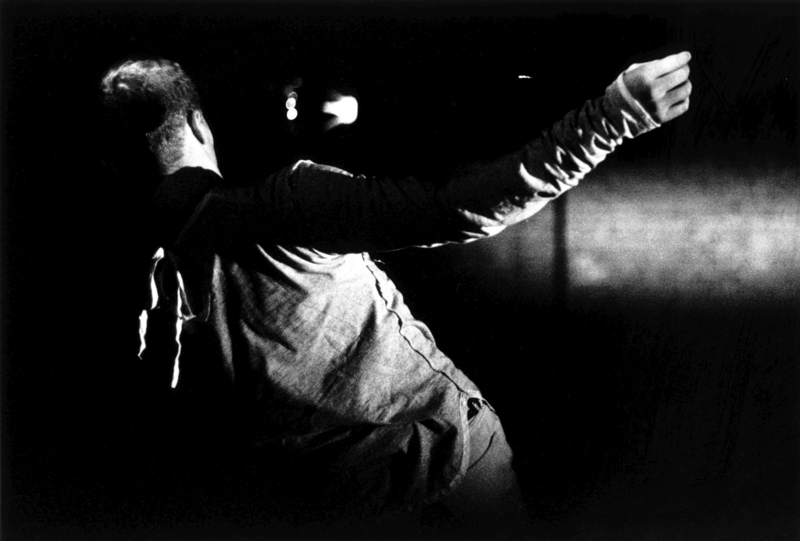 The short solo Hobokendans is the piece that launched Thomas Hauert’s career as a choreographer. It toured for four years, first in the context of Pierre Droulers’ project Les Petites Formes and then as an autonomous piece. Who knows the movement possibilities of my body better than my body? In search of true creation rather than re-creation, my mind is challenging my body with tasks that go against its habits, and in return, my body is amazing my mind with its solutions, which are far more complex than anything my mind could come up with. I would like to tickle the spectator’s mind by deceiving her/his expectations and inform her/his body with sensations that a moving body is able to transmit.